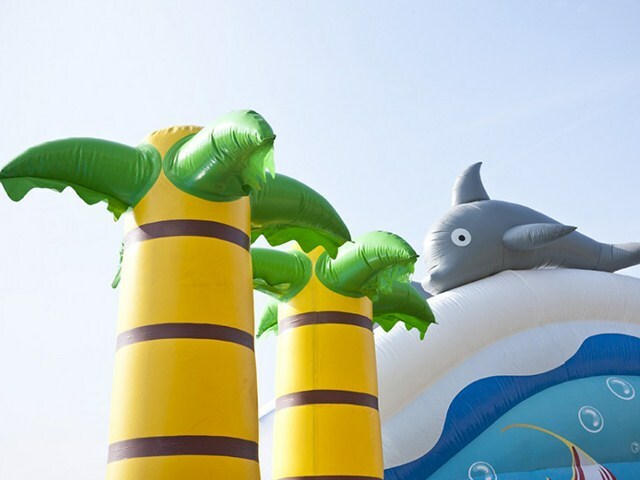 Amusement Water Park - JB Tropical Dolphin Waterpark Inflatable , Inflatable Aqua Park BY-AWP-016 - Guangzhou Barry Industrial Co., Ltd. Welcome to the Tropical Dolphin Waterpark, the best known landmark of a tropical paradise. Have a blast on this home away from home with this little spec of paradise. On this island, they are sheltering the biggest fortune ever discovered by pirates. Indeed, it has been a long time since the pirates discovered this slice of paradise, but it’s a real treasure! A water park is an amazing wet ‘n wild adventure and a playground is an immagination soaring thrill. So, what would happen if you combined the two? 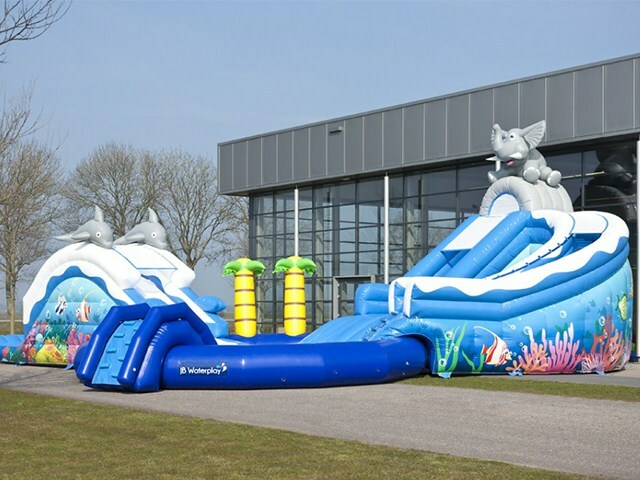 You would get an amazing, adventureous, wet ‘n wild experience with this awesome Tropical Dolphin Waterpark Adventure! Little do these Seaworld animals know, they will soon be invaded by an excited crowd of children and young adults in search of treasure. You can be reassured, because you know that your party/event will be a success in advance. 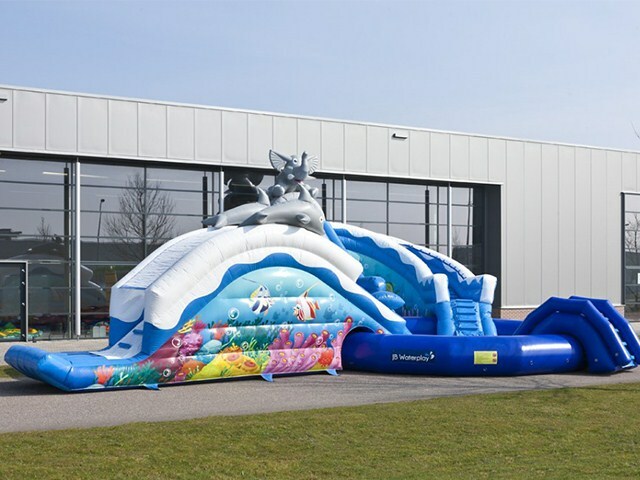 This large and beautiful aquatic playground was carefully designed by our designers. The amazing blue, yellow and green colors give a tropical feel and will look magnificent in whatever environment in which it will be installed. Moreover, this island is composed of an aquatic basin representing a tropical sea. On the sides are added slides; one large and the other a little smaller. This accommodates a wide rage of age groups. 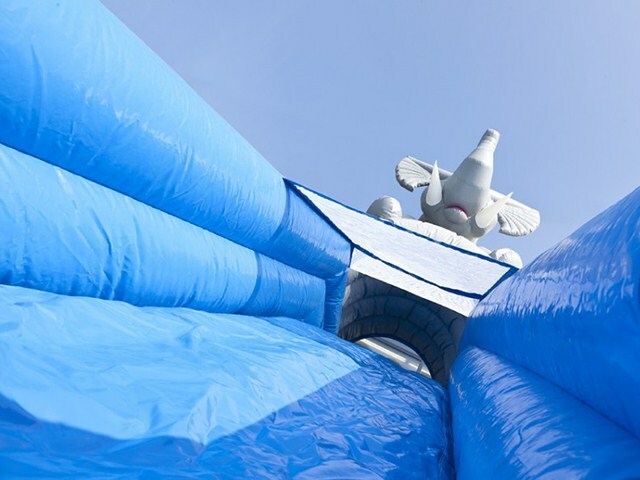 Use the steps on the right-side of the larger slide to reach the top. 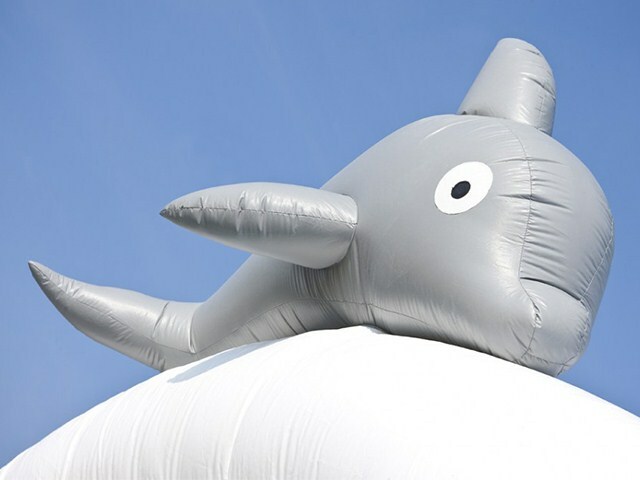 Furthermore, Ally the Elephant will keep a close eye on you and your friends. 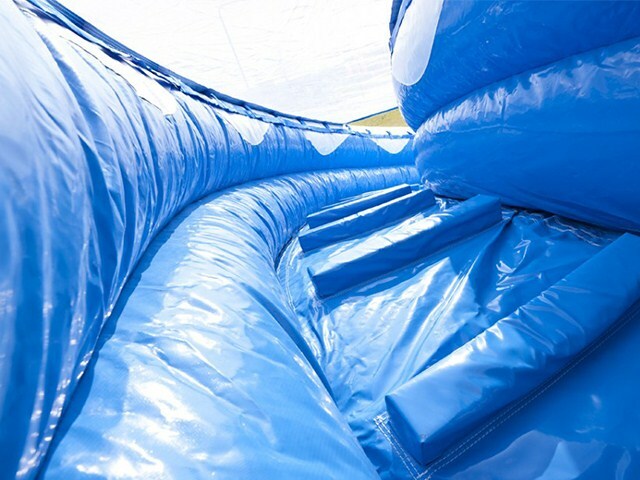 In addition, our water inflatable slides have a system that allows you to attach a garden hose to the top of the slide so that the descent is faster and therefore more fun. 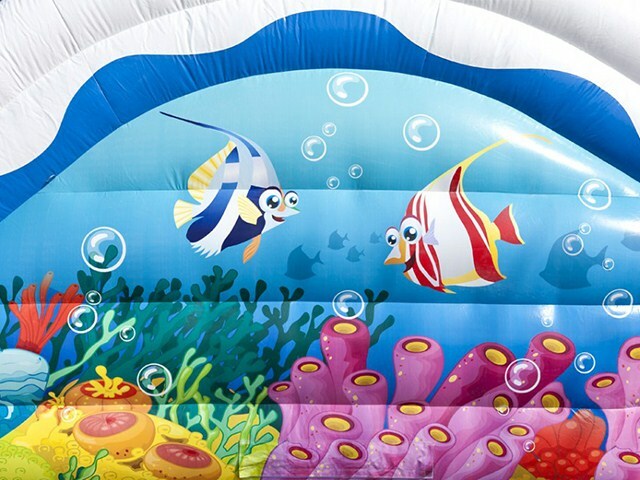 This inflatable consists of at least four parts.